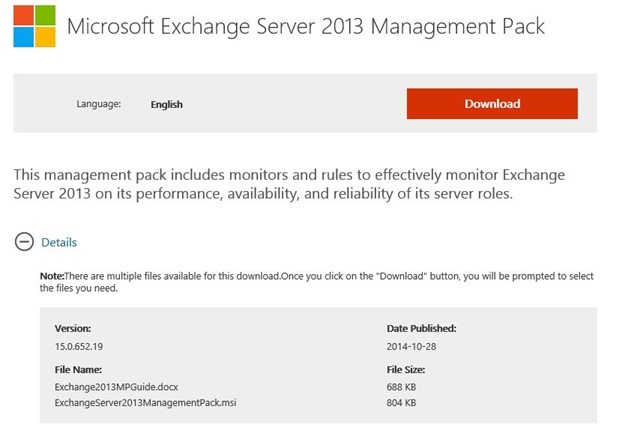 Management Pack Updated for Exchange 2013 released! Despite being a product already launched for some time, the Exchange did not have a Management Pack 2013 rich, being the same as the Exchange 2010 updated. However, with the 2012 SCOM R2 and its new features for views and dashboards were very lack of inclusion of new counters, views more specialized and rich Web parts, as well as reports. For some time that the MVPs of System Center received the betas to test and really was very good!